Ian asks: When someone leaves their body to science, what happens to it and how does a person opt into this? As you might expect, the rules surrounding how one goes about donating one’s body FOR SCIENCE varies a little from region to region, though the general process and what happens after you donate seems to be relatively consistent. For instance, in the United Kingdom, donating one’s body typically involves nothing more than filling out a few forms provided by your nearest university or medical school. Under British law and the Human Tissue Act of 2004, “written and witnessed consent” is required prior to death for a medical authority to claim a body and it’s highly recommended that you make your family aware of your wishes to expedite the process of transporting your body after death. The latter is important as it is possible in the UK for your next of kin to override your final wishes in regards to organ and body donation, and just in general it’s a good idea to process your body quickly lest it get rejected for not being, for lack of a better phrase, fresh enough. Speaking of organ donation and body rejection, in most cases being an organ donor whose organs are harvested will disqualify you from subsequently donating your body to science directly (though there is a potential loophole in the United States in going through a body broker, which we’ll get to shortly). However, it is possible to be both a body and organ donor simultaneously regardless of what side of the pond you’re on; in this case, in the event that your organs are deemed unsuitable for transplantation, the relevant medical authority you’ve willed ownership of your body to can then choose to take your body or not at their discretion. On that note, while there are no universal rules for what condition your body has to be in at the time of death for a medical authority to be able to make use of it, a number of things can exclude you immediately from being considered. For instance, you’ll almost certainly be disqualified from donating your body if you die of a communicable illness or “anything that doesn’t have a known cause but which may be communicable”. In fact, among the first things done to donated bodies, beyond refrigerating them to slow decomposition, is to test them for any infectious diseases. After this, the body will typically be embalmed, though there are exceptions to this, such as if it’s being used for study on how the body decomposes naturally over time in certain scenarios, as is sometime done with CSI training or investigation. Another way your body will usually be disqualified is if you die in a manner which renders it in any way abnormal. So, for example, if you die in a severe car crash or from a disease which wastes away your organs or muscle, it may be rejected due to the fact that institutions accepting bodies usually only want cadavers that are representative of a healthy adult. As one source puts it: “In a way, to successfully donate your body, you have to be in perfect health. But dead.” But, again, there are always exceptions and, for example, researchers wanting to study some disease or the effects of a given car crash may be interested in your body, just particularly in the latter case that can be hard to arrange beforehand. Even if your body is relatively unscathed at the time of death, if you die under mysterious or suspicious circumstances and an autopsy needs to be performed, there’s a good chance this too will result in your body being rejected. Other things that can result in your body being rejected, according to one non-exhaustive list provided by the University of Liverpool include: bedsores being present on your body at the time of death, dying of an aortic aneurysm and being obese. Your body could also potentially be rejected if the relevant medical authority simply has no room for more bodies or you happen to die at a time of year when nobody is around to study your corpse in a relatively timely manner, such as during the holidays in late December. It’s also important to note that in the event your body is rejected, the medical authority you willed it to will take no responsibility for your body’s disposal and the relevant funerary costs will, thus, fall to your estate. On the other hand, if your body is accepted, the medical authority studying it will often, depending on the wishes of you or your family, cremate the remains free of charge, or otherwise return them to your family for a private service at your own expense. Interestingly, because medical institutions potentially cover the costs of the disposal of your body, a not insignificant number Britons have relatively recently started to opt into donating their body “to science” in the hopes that if their body is accepted, their loved ones won’t have to pay expensive funeral costs, which in Britain in 2016 averaged about £3,702 (~$5,000) per funeral. Also like in the UK, certain factors can render your body unsuitable for study and, for the most part, they’re fairly comparable- death from extreme trauma, infectious disease and certain cancers can all cause your body to be rejected, as can being obese. On that note, most medical institutions in the United States place a height and weight limit on the cadavers they’ll accept, usually limited to 6 feet (1.83 meters) and a max of between 180-200 lbs (82-91 kg) depending on the medical institution. The main reasons for these restrictions are practical in nature, with it being noted that transporting obese bodies is more difficult and that the medical tables typically used aren’t large enough to accommodate pleasantly plump corpses or those who’re very tall. In the UK, no such height limit is explicitly specified in any literature we could find, although especially large persons (either in regards to height or weight) are advised that their bodies might be rejected, with the common reason listed being difficulty in moving the body. Unlike Britons, thanks to competition for bodies being stiff in the states, American citizens who are somewhat petite have a great deal of choice when it comes to donating their body to science. Because of the high need for bodies, some companies in the U.S. have made a fortune acting as a middleman of sorts between families and scientific institutions. Said companies generally offer to pay the costs of cremation and the transportation and storage of the body to and from wherever it is needed. For instance, Science Care has taken the idea to its logical extreme, comparing themselves to McDonald’s in that they deliver a product (in this case, human bodies and body parts) of consistent quality regardless of where the institution wanting the body or body part is in the country. One of the main controversies with such for-profit body brokers is that it’s not clear how many of the people signing up to them realise these companies generate income by selling body parts (or whole bodies) from those who donate their deceased selves to the companies. To be fair, though, it should be noted that, at least in the case of Science Care, their donor consent form does explicitly state the for-profit nature of the company. And for those wanting to increase the odds that their family won’t have to shell out any money for disposing of one’s remains, companies like these do offer a reasonably good outlet. As previously noted, some body brokers also allow you to donate your organs first and then they take the rest of you to sell off at their discretion. With most all of these companies, though, you just have to understand that what happens to your body after they get it isn’t generally something you or your loved ones have much say in. For instance, certain of these organizations have taken advantage of the fact that there is little in the way of oversight in the body donation industry (unlike organ donation, which is regulated), sometimes using bodies in ways explicitly against the wishes of the deceased when they filled out the paper work. Other such companies simply note right on the application form that they can’t be sure what your body or body parts will ultimately be used for. So, as with everything in life, even in death, if you’re getting a product for free, odds are reasonable you’re the product. It’s just that in this case the old adage is a little more literal than usual. Some people, of course, have a huge problem with such for-profit body broker companies, while others are just happy to maximize the odds of their loved ones not having to pay for an expensive burial or cremation, caring little about what’s done with their corpse. Moving swiftly on, whether donating to a medical institution directly or to a body broker, there’s a wide range of career options available to the discerning corpse, not just in giving medical students incredibly valuable practice working on a human body that doesn’t care if they screw up. As for these dead body career options, doctors may use your body to train in some new and innovative surgical method or with some new piece of equipment. Being able to use your corpse for this can be a huge benefit in reducing the risk of mistakes when operating on the living. A somewhat more exciting cadaver career path can be found at the University of Tennessee’s Forensic Anthropology Center where they have been watching bodies decompose in various ways for about three decades now. (If you live within 200 miles and they accept your body, they’ll even transport it for free.) One of the many ways in which they might use your body is to mimic various ways in which people are murdered and then just observe the effects on your body, possibly even over spans of many years. They also might use a living picture of you to observe the change in your visage to help them figure out how a given corpse probably looked in life. This and many other such experiments provide incredibly valuable data to a variety of fields, most notably in this case crime scene investigation. If being murdered after you die and then observed as you decompose isn’t your thing, when you donate your body, some institutions allow for selecting to donate for “Safety Testing”. If you check that box, your body then may be used as a crash test dummy. While this might seem a bit bizarre if you’ve never heard of it before, the use of dead bodies in car safety testing is something every car manufacturer benefits from when testing some new safety device or car design. Although, when asked, most seem prone to outright deny they test in this way. For some, it’s technically true that they don’t in that they may simply donate funds to various medical institutions that in turn at the behest of the company and the National Highway Traffic Administration use bodies to test various cars and car safety equipment. So it’s not technically the car company doing it. Depending on the nature of the deal, the data collected may be available to all car companies (and the public) or, in some cases, such as with Ford’s inflatable seat belts, the information may only be shared with the company and the National Highway Traffic Administration. In these proprietary cases, the information is declared by the company as confidential business information so that it’s not even available through a Freedom of Information Act request to the NHTA. Beyond crash tests, there are countless other ways in which your body might be used if you opt for safety testing, including in testing various helmet types. In fact, some dead people’s heads are presently being used to design better helmets for those who participate in American Football- as you can imagine, the NFL is particularly interested in this line of research, but it’s also potentially massively beneficial for the many thousands of teens who play the sport. In the end, if something is used to protect a human in some way and it’s made by a major corporation, odds are strong at some point said device was tested on dead people, generally via grants given to medical institutions who actually have access to the bodies. If having your head put in prototype helmets and bashed up against hard surfaces or having your body involved in a mini-van crash isn’t your thing, another, slightly more badass sounding, option is to donate your body to a medical institution and, assuming the option is available, opt into use by the military. If accepted, your body will likely be loaded with state of the art sensors and then used to help test new weapons and armor, or just used in things like testing a given explosion’s affect on a human body. Yes, if you’d like to help protect the troops or to help in the design of weapons for making more bodies, you too can potentially have your corpse blown up FOR MILITARY SCIENCE! And for the extreme exhibitionists among you, it’s even possible to donate your body, or at least part of it, to be put on public display. Besides the famed Body Worlds exhibition, The Mutter Museum in Philadelphia is one such option for such. So to sum up, whatever you’d like your body to be used for once you’re done with it, donating your body “to science” is simply a matter of first contacting a relevant authority or institution- usually your local medical school is your best bet, though if you just want the free body disposal and don’t care what’s done with your corpse, a body broker isn’t necessarily a bad option. Either way, you’ll then only need to fill out a few quick forms to signal your consent to make it happen. And best to also explicitly mention to your loved ones that those are your wishes to make sure things go smoothly after you die. Also, for most every option, you should generally plan that your estate may need to at the least pay for transport of your body, and possibly that your body will be rejected when the time comes, meaning funds for a more typical body disposal will be needed. And, hey, if your body is accepted and the institution chooses to go ahead and handle all the fees, that’s just extra money freed up for use by your loved ones to throw a better party in your honour with. It’s speculated that the likely reasons for the large disparity between people opting into organ donation vs. full body donation in the United States are that donating one’s entire body is somewhat stigmatized, rather than celebrated as in organ donation; arranging to donate your body requires slightly more effort than just checking a box on a form when renewing your license or the like; and the average American male particularly simply has a body outside of the height/weight range usually accepted by medical institutions (max of ~180-200 lbs and 6ft tall). For reference here, the average adult American male rings in at about 195 pounds and 5 feet 10 inches (1.8 meters) tall according to the CDC. If you are interested in whole body donation to a medical school, you should look into whether your state has a program like Virginia’s VSAP which distribute bodies around the state. This avoids the problem that may occur in donating your body to a specific school when that school has enough bodies at the time you die and your donation is rejected. 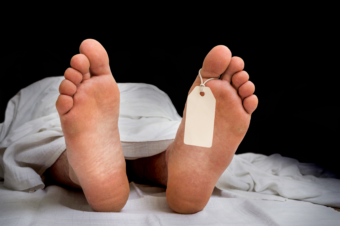 As a death care professional, I have handled many body donations, and Hildy J is correct – check with the medical school first, also mortuary schools, and question local funeral home for transportation, as they may charge for this service. In any case, most require some pre-registration to have the donation go according to plan. Some medical study cases are turned down if disease or other conditions are present. It is important to have the body refrigerated (not embalmed) as soon as possible. Secure names and phone numbers ahead of time, as death has a most inconvenient schedule. Also, give the living time to pay their respects, if possible before death, as viewing after death may not be in order. Also check out exactly what the requirements are for their acceptance of a body. Besides not having any communicable diseases the body might also have weight requirements. I wanted to donate my body to Duke University but they rejected me immediately because I am “morbidly obese”. I am 5′ 9″ and weigh 275 pounds. I have no idea why that is the case but it seemed to matter to them. You would think that most any body would be worth studying but apparently not. I believe you mean criterion. David Tennant (a previous Dr Who) appeared in a stage production of Hamlet fairly recently where Yorick was a real skull. The donor wanted to be on stage and bequeathed it for this use. My wife suffered from Multiple Scleroses, her Neurologist suggested that she donate her body for research for MS due to numerous conditions related to her illness. 25 years after that decision, on the 29th of December, my wife went to be with our Lord Jesus Christ and the University of California, Irvine picked-up her body.